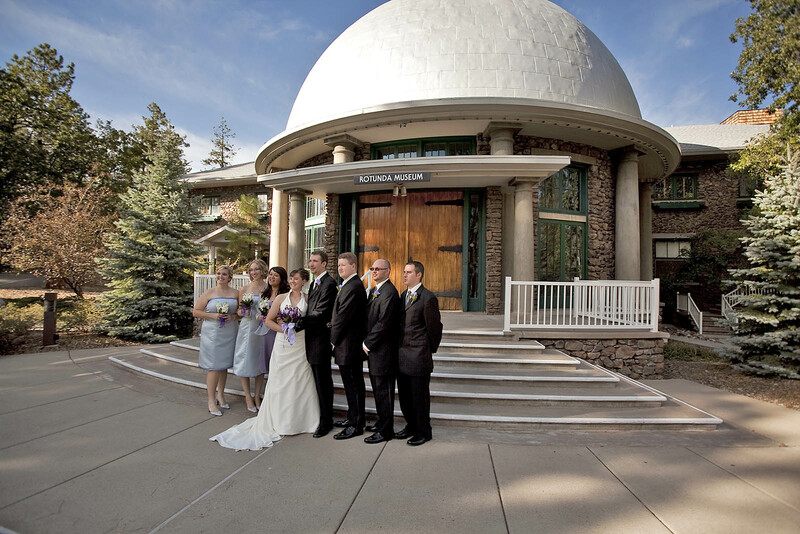 An outdoor wedding at Lowell Observatory in Flagstaff AZ. 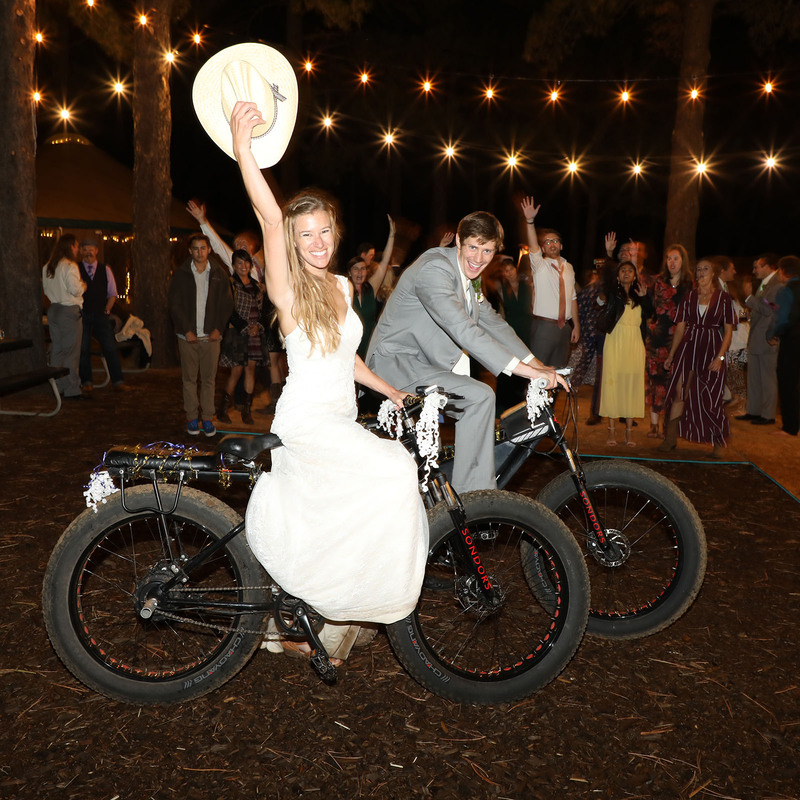 Most outdoor weddings in Flagstaff happen in the month of June. 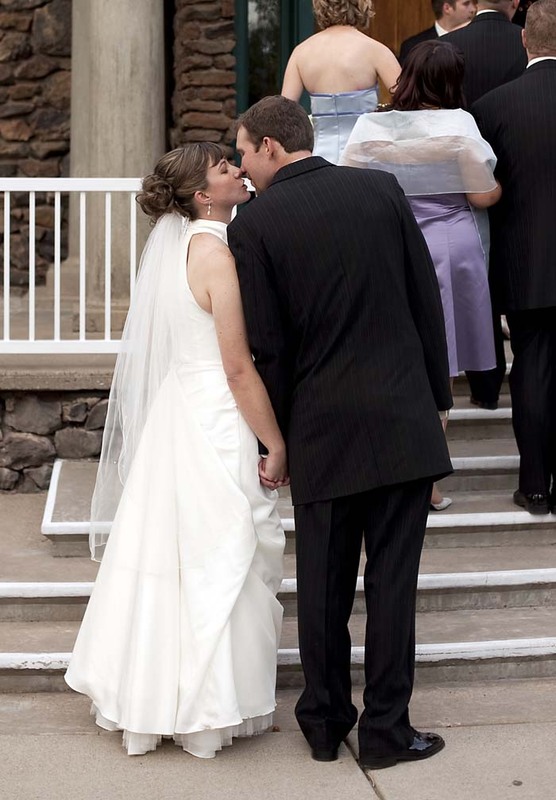 July and August are also good for an outdoor wedding, but be prepared for afternoon rains. 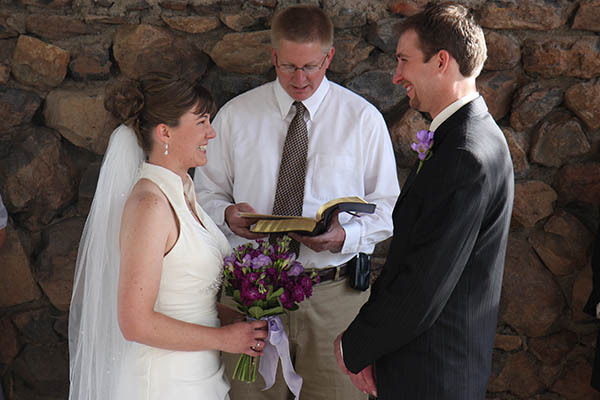 Spring or Fall outdoor weddings work really well in sedona. 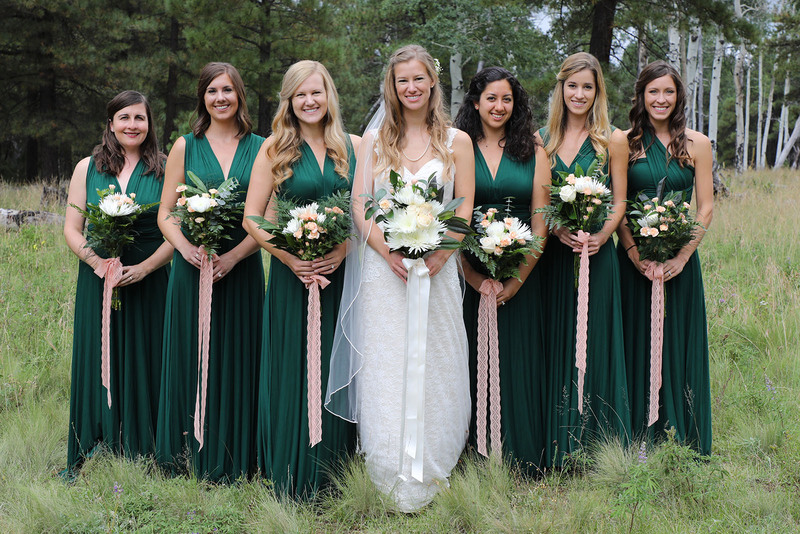 If your wedding is on a tight budget, consider getting married on a weekday - locations are more affordable during the week and so is your photographer! 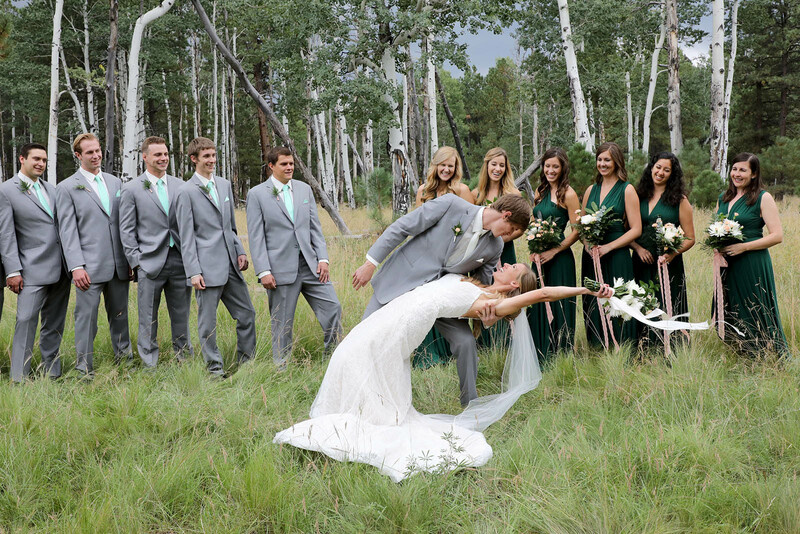 The Flagstaff Nordic Center is a great place for an Outdoor Wedding in the summer! 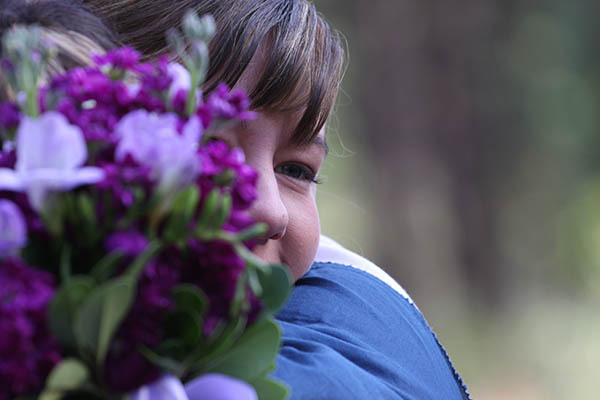 August Wildflowers in Flagstaff make for a great setting for engagement pictures. 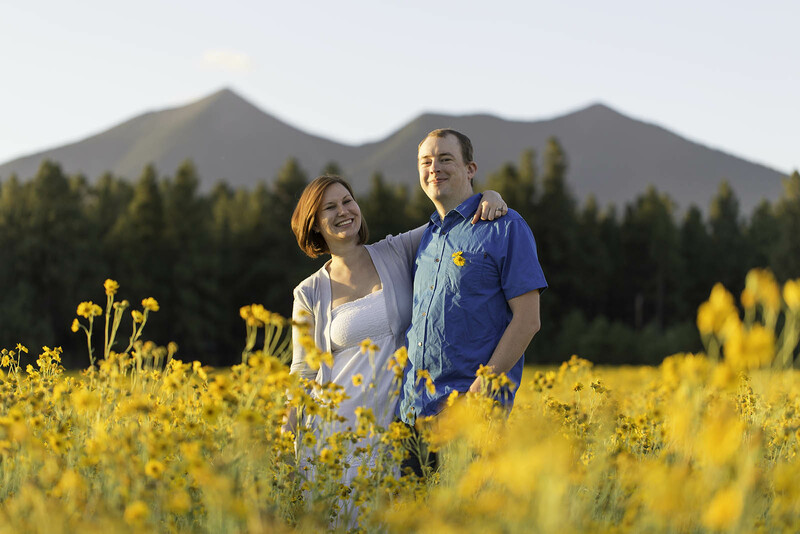 I photographed this young couple posing for engagement photos in the yellow wildflowers that bloom in Flagstaff in the month of August. The San Francisco Peaks are visible in the background, behind a forest of Ponderosa Pines. 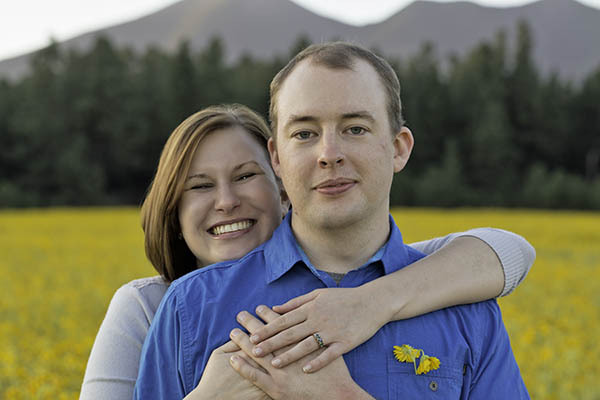 Once again, we took advantage of the great light that happens when the sun begins to set.